I used to love banana cake. 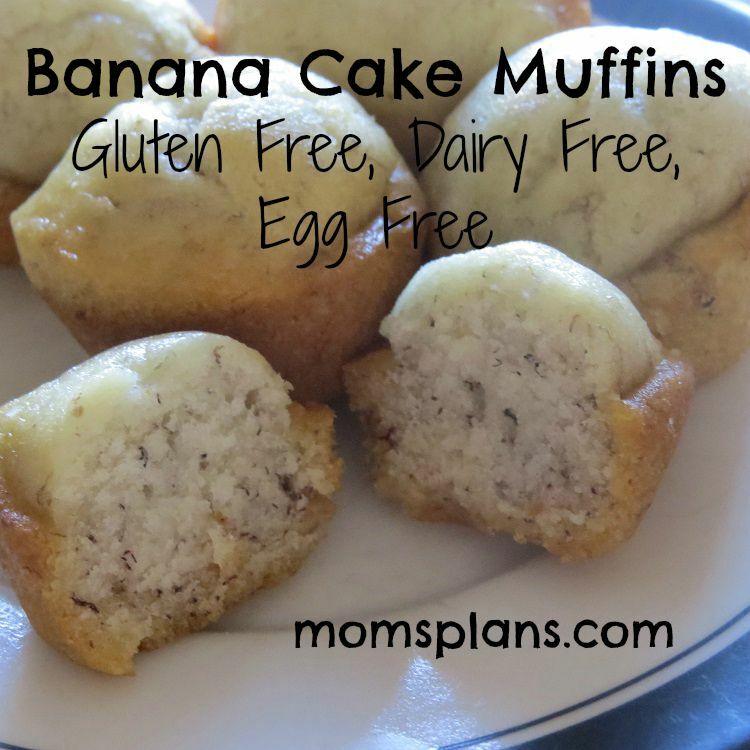 However, once I had to give up many of the main components–gluten, dairy, and eggs–I figured my banana cake days were over. But this week, after a little experimentation in the kitchen, I found banana cake can once again be in the food repertoire, and it’s delicious! Add the oil and water and stir to combine. Add the box mix to the rest of the ingredients. Stir with a mixer for 2 minutes on medium. Fill the tin with batter for 36 mini muffins. Cook on 325 degrees for 18 to 22 minutes.